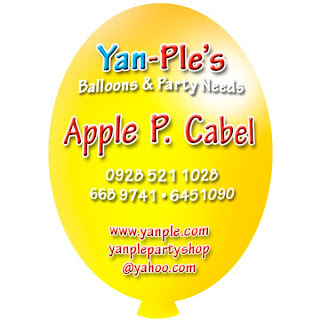 When I was canvassing for balloon decors, most of what was quoted to me was in the range of 10k-16k. OMG. 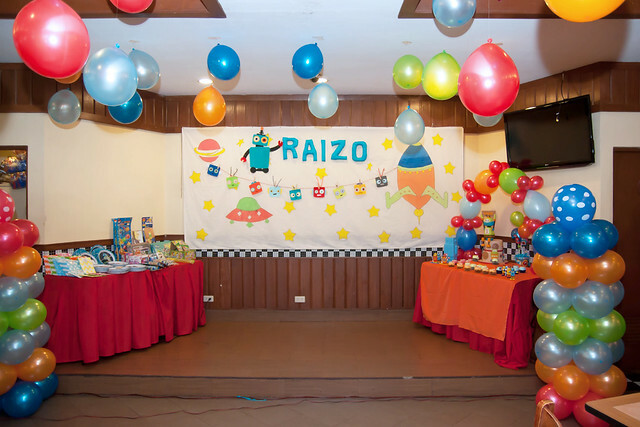 I didn't have that big of a budget and I only need simple decors.Then I remembered I kept a file from Y's 1st birthday and that's where I got my supplier for party decors. 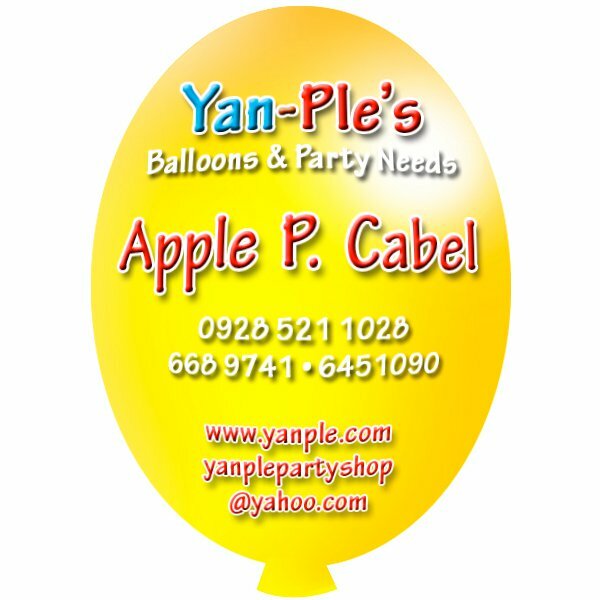 Yan-ple's decor packages are very affordable which was swak na swak sa budget! We only transacted via email. 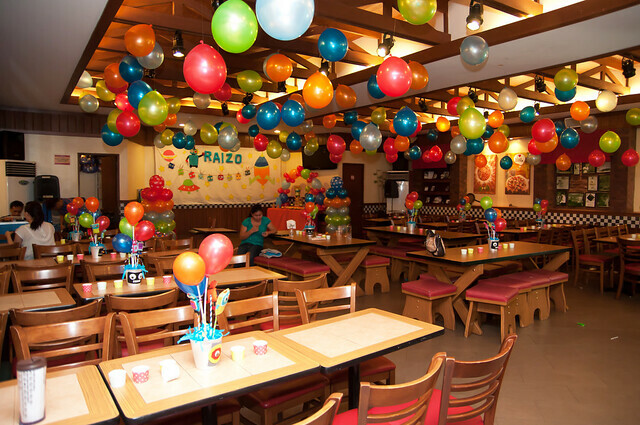 I showed her our theme colors and what she recommends for the venue since she already did decors at Shakey's Quezin Ave already. 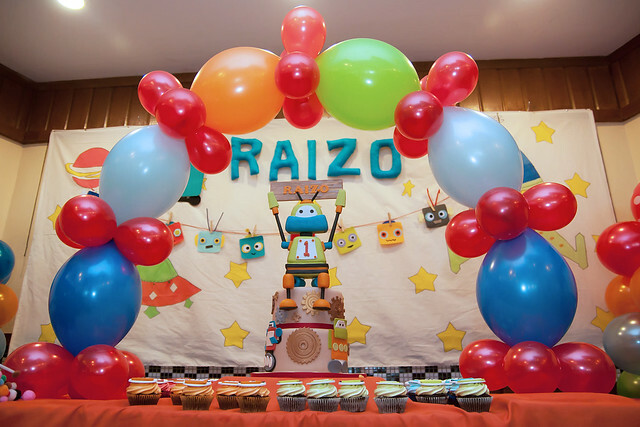 I had balloon drops, 2 pillars and a cake arch. I had everything done for less than Php7,000. It was simple but enough to may the place looks festive! At nagamit pa ng next party... Hihi! 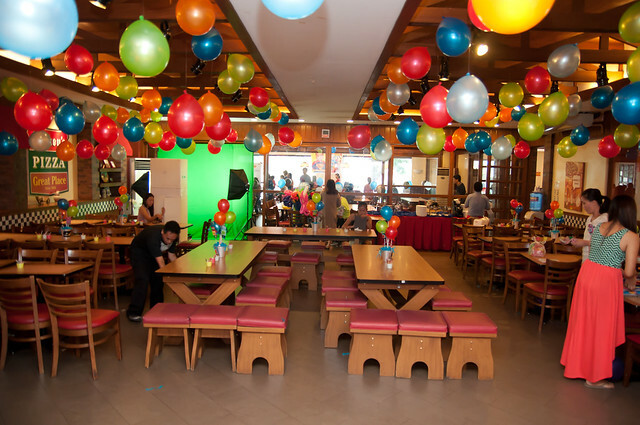 Cai, nagamit ng next party, as in complimentary from you?